Cosy, simple small apartment house Gädi, 3 storeys, renovated in 2009. In the centre of Zermatt, in a central position on a slope. In the house: central heating system, washing machine, tumble dryer. Steep, narrow motor access to 30 m from the grounds. 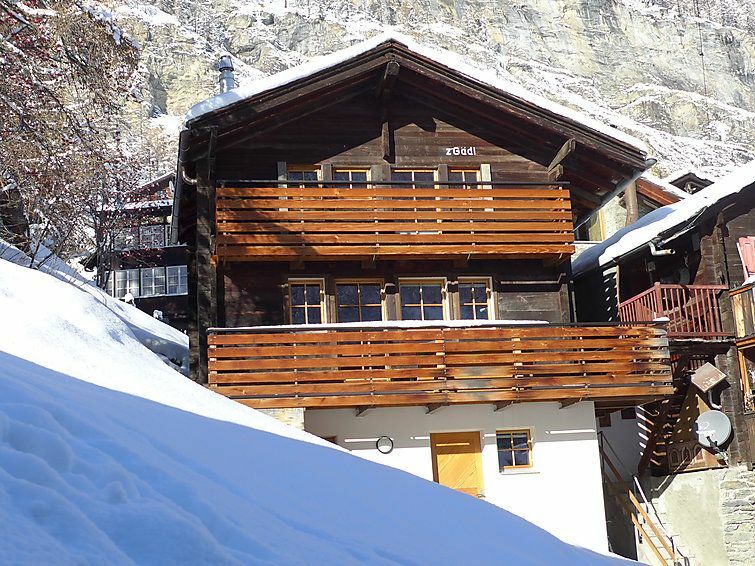 Supermarket 200 m, restaurant 50 m, bakery 30 m, bus stop Bahnhof 300 m, railway station Bahnhof Zermatt 300 m. Mountain railway, ski rental, ski bus stop 300 m, ski school, children's ski school 100 m. Nearby attractions: Matterhorn Museum 100 m. Please note: no lift. Cabs cannot stop right in front of the house. The home was very clean, beautiful and had a fairly well-stocked kitchen. It was hard to find and I’m not a big fan of Interhome - the property management company. This is the second time I’ve used them and their fees are very high for not getting much from them.